"Cybercriminals moved away from using Web-based vulnerabilities in favor of MS Office ones. 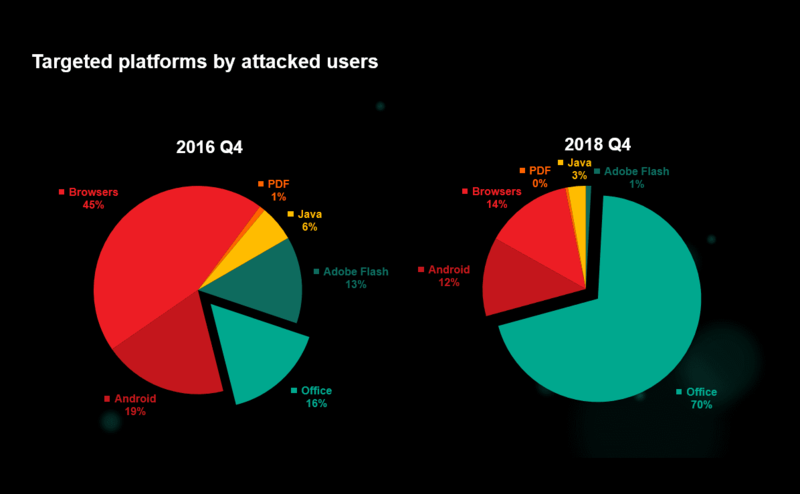 In the past few months, MS Office, with more than 70% share of attacks, became the most targeted platform. ", explained Kaspersky team.